It’s true that there are children and youth right here in our community that don't even hear the words 'happy birthday' on their big day. While we hope to one day serve all kids in foster care, our focus is on kids that would not typically have a birthday celebration - these are often youth in group homes or residential treatment centers, youth that have aged out of foster care that are still involved with the system, teen moms in foster care who want to provide a birthday for their child or youth placed in the home of a relative that doesn’t have the means to have a birthday celebration. It is our mission to send the message loud and clear through the birthday box that “YOU ARE SO WORTH IT”. It is so much more than just the actual things provided in a box and more about being remembered when you are often forgotten! A birthday box is a box (or bag) filled with gifts, decorations and other essential birthday items. Each one is customized to the child and their dreams, talents, career interests and wishes. Individuals, groups and families in the community are able to sponsor a box that will then be used to ensure that child is celebrated during their birthday month. 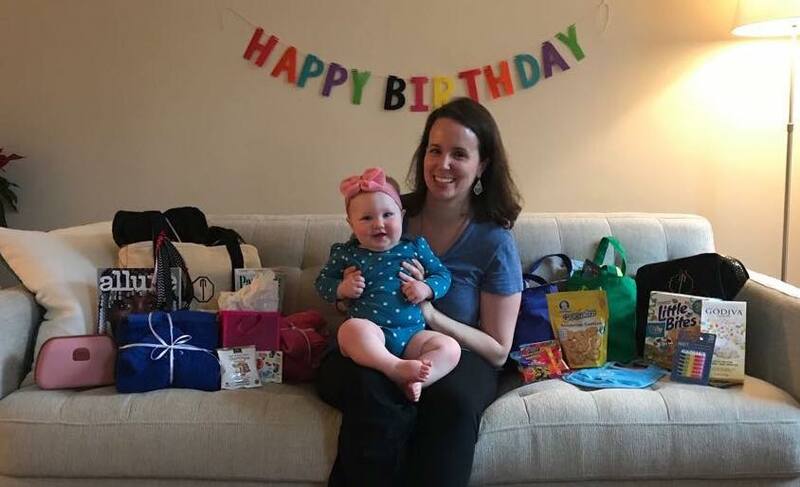 In addition to celebrating youth in foster care, through our birthday box program we are eradicating the use of trash bags by children in foster care one birthday at a time. Nationally, children in foster care often carry their only belongings in trash bags when they enter foster care or move to a new placement. We ask that each birthday box includes a plastic tote, duffel bag, luggage or other reusable organization/storage unit. It is just one small way that we continue to send the message of worth while also celebrating the child’s birthday. We currently serve Henrico County, Chesterfield County, Richmond City and Alexandria City and are always looking for new sponsors in these areas that want to sponsor a birthday of one of the young people we serve. Please check out our Birthday Box Guide below to get an idea of what should be included in a birthday box! If you are interested in sponsoring a birthday box individually or with a group, please like us on Facebook where we often share birthdays needing sponsors during the first week of the month or by completing the form below. Complete this form if you are interested in sponsoring a birthday box (or simply like the Facebook page where we post birthdays the first week of the month)! Thank you so much for your interest in helping Worthdays! Please take a moment to like our Facebook page which we use often to communicate about birthdays needing sponsors or other needs of our local foster care community. 1. Do I provide an actual box for the birthday child? Yes! Be creative and feel free to think outside of an actual ‘box’. People have used backpacks, duffelbags, plastic totes or even laundry baskets. Many children in foster care transport their belongings in trash bags so we like the idea of a ‘box’ that can be used for other purposes after the birthday is done! When possible, it is most helpful when the box or bag can be zipped or closed to ensure all items remain together. Please leave some room in your box to ensure we have space to add personalized items by local business partners. 2. Should I wrap the gifts or leave them unwrapped? We ask that you leave gifts unwrapped. For those of you who are big into wrapping, be creative about how you may still give the recipient the opportunity to open a present by using tissue paper to ‘wrap’ a gift, putting gifts in gift bags inside the box or using tissue paper covering all contents of the box. It's up to your own creativity to determine how you would like to do this but we need to be able to see what the contents of the box are. 3. Do I include a card? What should I write in the card? Yes, please include a card. Feel free to include a positive, uplifting birthday message to the birthday child. You can sign the card with the first names of the members of your family or by using the name of the business group that sponsored the box. 4. Can I meet the child whose birthday I am sponsoring or help them to celebrate in person? We like the way you think! We hope to celebrate with kids in this way in the future but we have not coordinated the logistics necessary to celebrate in person yet. If this is something you are interested in the future, email us so that we know who we can count on to volunteer in this way for future birthdays! 5. There's not much information about what the child I'm sponsoring wants or is interested in. Is there a way I can get additional information? Shoot us a message or email and we can try our best to help you. There are times when we are able to get additional information and times that it will just require that you are creative! 6. How do I arrange delivery and when will it be received by the child? We have three primary drop off locations in the Greater Richmond area that can be found here (link to locations page). Your birthday box can be delivered to one of these local businesses who have graciously agreed to serve as a drop off location for our organization. You should receive an email from us with the delivery date by which we need your box. Once your box has been dropped off at a delivery location we will pick it up and prepare it for delivery to the local Social Services agency that serves your specific child. Once the box is received by the local Social Services agency it is given to the direct social worker for the child who then delivers it directly to the child! If you experience any issues with the delivery of your box, please email us at caroline@worthdays.org. Any boxes sponsored by those out of the area can be mailed to: Worthdays PO Box 72612 Richmond, Va 23235 in advance of the due date. 7. Do I have to spend a certain amount of money on my box? It is inevitable that different boxes will be of different values and that's okay. Our organization has not set a specific financial value because we want to encourage everyone to become involved with our organization. Because of incredible local businesses, we add several personalized items to each box. Additionally, we have supplies on hand that we are able to supplement boxes with if necessary. 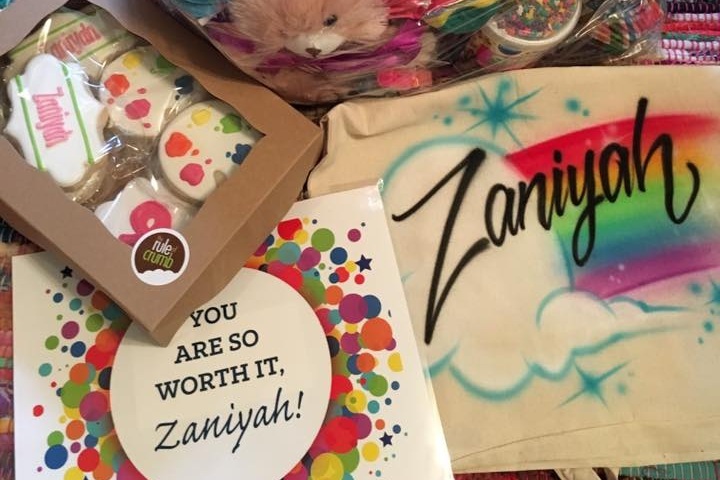 If you have concerns about this, many people have rallied support from their friends and family to help with the birthday box they are sponsoring. Simply posting a little bit of information about the young person in an email or on social media and asking for donations has been wildly successful for others and has really made this a group effort! If you ever have questions about this, please feel free to be in touch with us!